Pizza, focaccia pugliese, saltimbocca, calzoni, lasagne, home made tiramisù: try the Italian traditional falvours at Pizza Nostra. Pizza in slices, stuffed, rolled, traditional pizza, lasagne, home-made tiramisu: these are only a few of the specialties you could taste at Pizza Nostra, in Prenzlauer Berg. The mantra which becomes clear while reading the menu of this Italian pizzeria at Eberswalder Str. is without any doubt: “We stick to our family tradition and use the best ingredients only”. The excellent neighbourhood pizzeria owner is Giuseppe, coming from the Italian province of Naples, in his pizzeria he welcomes the costumers from his pizza counter. Pizza Nostra products. Just like in an Italian Bakery, at Pizza Nostra you will find flat bread, stuffed focaccia, rolled-pizza, double-layered pizza, parigina (pizza with a French pastry bottom), saltimbocca, pizza in slices, take-away pizza. “I remember myself as a child, sleeping on sacks full of flour” declares the owner. Giuseppe’s bond to his family is profound, and the reason is easy to catch. He owes everything to his origins and that’s why you might also notice some family-photos all around the pizzeria. For generations Giuseppe’s family has owned some bakeries in Pompeii, a town between Naples and the Amalfitan Coast. 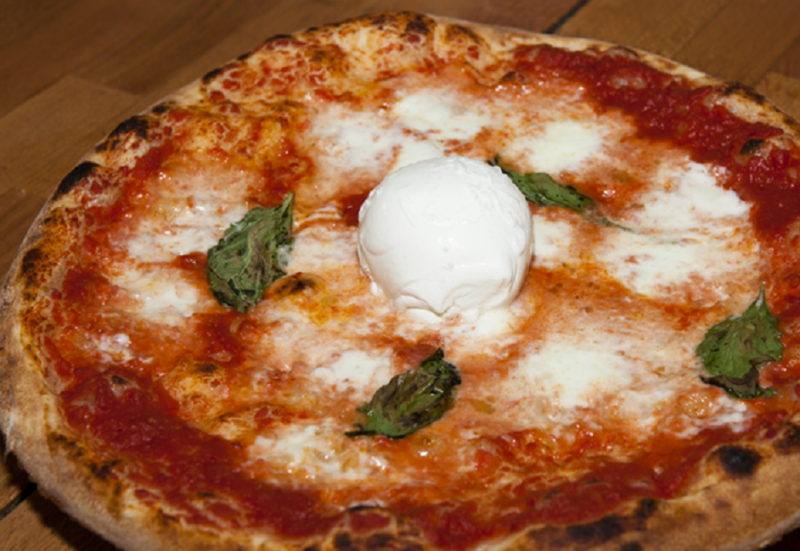 “Our pizza draws inspiration from our 19th century traditional recipes perpetuated over the years. My grandfather and my great-grandfather were bakers and pizza men themselves: I was told that there was no baker’s yeast and no bread-maker once, so that they had to use big tanks full of flour and water and knead by hand. Only after 4 days of hard work the dough was finally ready. Nowadays we are lazier, even pushing a button makes us tired.” tells Giuseppe with a smile.